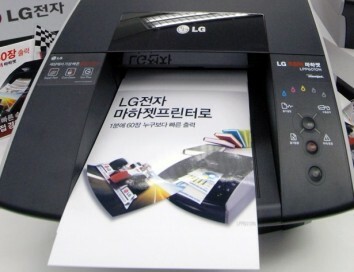 The newest models of printers available in the market can now be connected to the Internet. This provides for three main benefits including the ability to print from anywhere with a web connection which is facilitated by sending an email to the printer’s email address, enjoyment of various print apps, and the ability to manage e-print settings, using any browser regardless of location. For purposes of understanding this product better, we can look into an HP printer that supports its ePrint offering. The process is quite simple. It is initiated by sending an email containing the document to be printed to the address of the printer. Printable documents include images, photos, PDFs, and Word and Powerpoint documents. It is the most convenient printing option available today although there may be some issues in the appearance of the printed document. There may be a slight variation from the original document in style, formatting, and text. It is highly recommended to use the software application of computers when printing documents that need to retain its original form such as legal documents. In this way, users are given more control in how their printouts would appear. 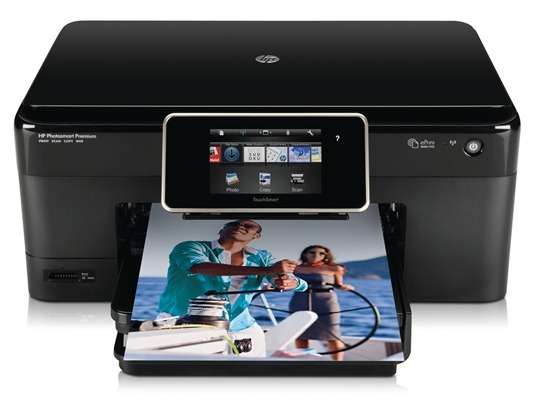 The HP ePrint service is provided for free when customers have the corresponding ePrint enabled printer. An added bonus to the service is the availability of special print applications which allow users to print text, photos, and graphics sourced from the Internet. Although the print apps provide access to the more popular contents, browsing cannot be done using the device. One interesting feature is the Scheduled Delivery Section which facilitates automatic printing of contents at designated dates and time. A valid user account with a partnering company is needed to enable users to print their own content using the apps. Owners of web-connected printers are currently allowed to download the apps for free . There may be variations in the print apps available depending on the model of the printer and the country location of the user. Web-connected printers are seen as a useful improvement on a common equipment or gadget used for personal and business purposes. With the fast pace of life today, people need to have access to the most convenient way of completing their tasks through more options and added convenience . Consumers will always welcome products that allow them to have more time to attend to other pressing needs, knowing that there are options available for their printing tasks. Eric is an entrepreneur and frequent traveler who has had the chance to try this printing option. He advises people like him to have good quality printer inks such as those from Stinky Ink readily available to avoid any inconvenience. Well, you would have thought that we’ve already reached the point where we can do just about anything with the lowly computer printer, right? I mean, we have all sorts of different kinds of printers, from the ubiquitous inkjet printer found in just about every home, to the laser printer everyone in almost every office is trying to get to first to print out their reports with, but that’s all we think of when we come across printers – just a tool to print out documents and photos. Would you believe that French researchers have found another application for printers – laser printers, specifically? Apparently, laser printers are an excellent means to cut paper. If you’ve had to print out a bunch of labels, cards and other odd-sized media and spent hours in frustration later because you’ve had to cut out the parts one by one (I’m bad with scissors though, so is it just me? ), this is probably is for you. Of course we won’t be getting printers that cut out origami for you just yet. We need paper that’s pre-printed with light-absorbing ink at the points where the cutting should occur. Imagine the possibilities for your duplex colour laser printer. Imagine all of the time saved, too. Okay, I don’t think we can use laser printers as weapons. Tough luck for you guys planning to strap their laser printers to the nearest shark or bear and going on a rampage – it just can’t be done. You would probably have to douse your enemies with the light-absorbent ink, and I think they won’t think kindly to you pouring ink on them. I’m sorry, but I don’t think that would be feasible. That last bit of kidding aside, I think this is a fantastic new application for printers, and I sure hope I see consumer-grade laser printer/cutters in the future. There is, much like anything these days, a few technology options when looking at purchasing a printer. In my experience, home printers are now of a very high quality (and I don’t want to be too general here) pretty much across the board. A printer can be undercut in price, i.e. become a loss leader. In other words, the manufacturer lowers the cost. Why? In order to then add a higher cost to all consumables. This essentially ‘price links’ all their products. With a high install base, significant returns on the initial ‘hit’ of falsely creating the lower price are possible. So, what will your printer consume? With that and those prices in mind what can you do? Finally, much like owning an old car, cheap or older printers can go wrong. Before you rush to the repair shop though do bear in mind that you may be able to buy a new one for the same price. By all means get a quote for a repair, but remember that sometimes parts aren’t too expensive depending on the brand. Of course, there a number of different printing technologies available, each with their own differently layered costs, but the initial outlay for the printer tends to always be the smaller cost in the overall lifespan of the machine. We’ll look at the various technologies available in a later article. I’m in the middle of a big book-length research project. I’ve got to print out tens of thousands of online article pages to read (I just can’t read on screen all day!). And I’m stuck with a Canon F-50 inkjet printer that’s giving me all sorts of wierd errors. What’s a guy to do? The answer: ditch the inkjet concept. Go Laser. Take the plunge. No need to fear. Gone are the days of expensive laser printers. Brother has released a phenomenal laser printer in the HL-2040 for a mere $100. I ordered mine at NewEgg.com. It arrived the next day. Now I’m in print heaven.